Do you usually end a dinner party with dessert and coffee? If you answered yes, you probably put a lot of thought into the dessert but just make a pot of black coffee to serve with cream and sugar. Nice but boring. Take your coffee to the next level. Caramel coffee couldn’t be easier for entertaining. It’s delicious and goes with just about anything you serve. You can adjust it for more or less servings by simply increasing or decreasing the caramel and the number of cups. Your guests will be so impressed. In the bottom of 4 coffee mugs, pour 2 teaspoons of Hershey’s Caramel topping. Pour hot, black coffee into each mug. Top with Reddi Whip topping and drizzle with additional caramel topping. Serve immediately. 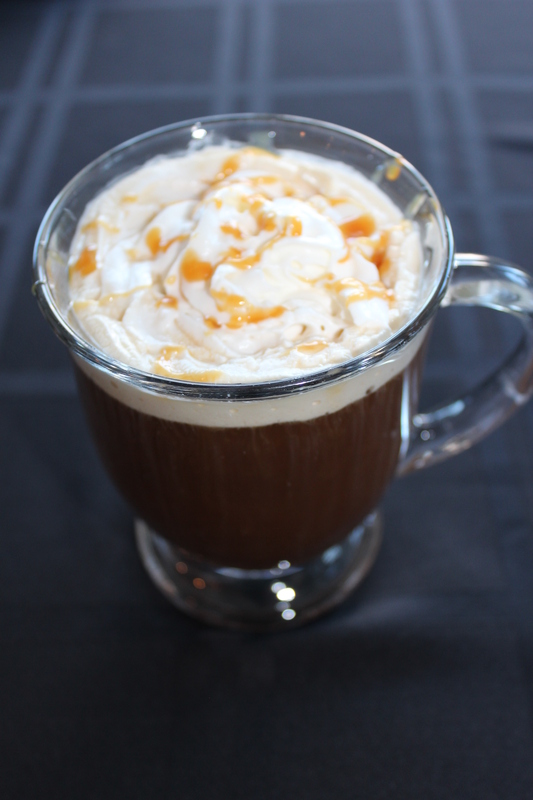 This entry was posted in Beverages, Breakfast, Company Worthy, Desserts, Entertaining, Sunday Dinner and tagged black coffee, caramel, caramel coffee, caramel drizzle, coffee, whipped cream, whipped topping. Bookmark the permalink. What a fantastic idea! This is brilliant, I want it for myself never mind for entertaining! What an easy way to take a plain cup of coffee to the next level! LOVE!!! A sure way to warm up the holidays! Great way to making boring ‘ol black coffee with dessert more fun! Yummy recipe! Sounds delicious! I love caramel.